Australian cinema and entertainment group Village Entertainment has today announced a collaboration between Village and Event Cinemas and Vegemite. 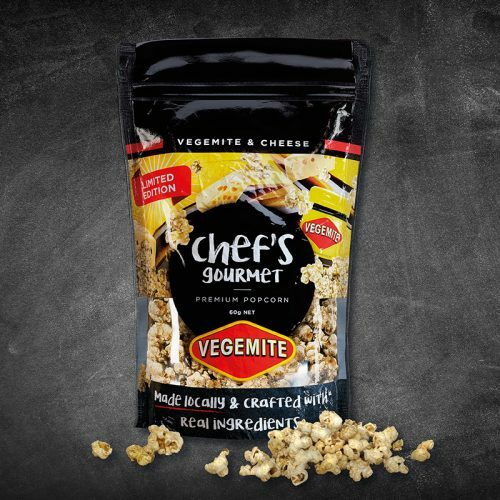 Village & Event Cinemas is the exclusive home to a brand new Vegemite flavour for Chef’s Gourmet Premium Popcorn coming to theatres today. The new snack is now available for a limited time at the Candy Bar at Village Cinemas and Event Cinemas under the Chef’s Gourmet and Parlour Lane brands respectively. Matt Gray, marketing manager at Vegemite, said: “We are ‘mitey’ excited to be partnering with our good friends at Village Cinemas and Event Cinemas to deliver an Aussie take on a cinema classic. “Our Chef’s Gourmet Premium Popcorn is a real treat for cinema goers with a variety of sweet flavours including Rocky Road, Raspberry & White Chocolate, and Salted Caramel.